But of course, “God” as rendered in the Bible—and most particularly in the Christian Old Testament—does not conform to either the temptation of vagueness or the temptation of settledness. In contrast to both of these interpretive alternatives, “God” as rendered in the Old Testament is a fully articulated personal agent, with all the particularities of personhood and with a full repertoire of traits and actions that belong to a fully formed and actualized person. Such a particular person cannot settle for vagueness because the particularity has a history and an identity that remain constant over time. Such a particular person cannot accept a fixity as reflected in some forms of classical tradition, because this particular person possesses all of the dimensions of freedom and possibility that rightly belong to a personal agent. What our study establishes with some assurance is that the Greek translators believed God to be omniscient and let this belief influence their translation. The tendency to preserve or underline the notion of divine omniscience is found in the Pentateuch and in the other books, in literal as well as in free translation units.22 All this confirms the interest of the thematic approach. A more difficult question is how to interpret these data in the framework of the debate on the theology of the Septuagint. A first possible explanation would be to describe the tendency identified in this paper in terms of Hellenization. Since Greek thought is supposedly more abstract, more conceptual, and more systematic than Hebrew thought, the belief in divine omniscience might be viewed as a typical Hellenistic theologoumenon, held to by the translators and consequently expressed in their Greek text. Such a theory would capture the truth only to a limited extent. A major obstacle in the way of this theory is the fact that the Hebrew Bible too clearly expresses the notion of divine omniscience. 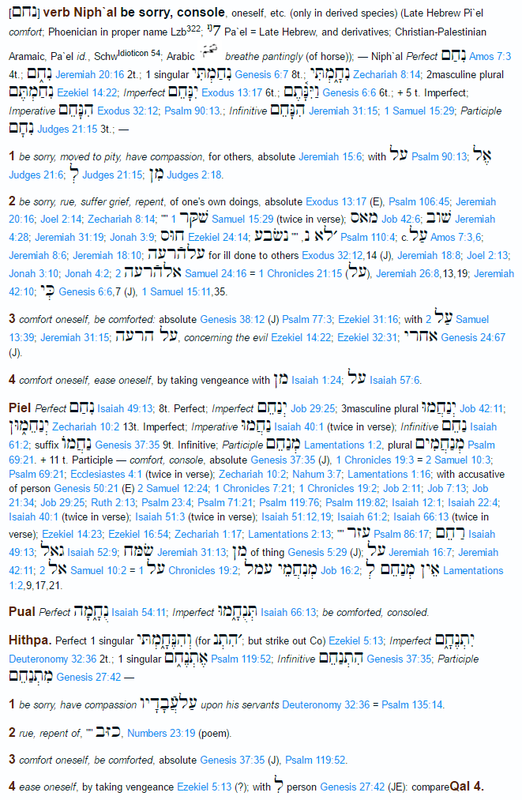 “The LORD is a God of knowledge, and by him actions are weighed”, says 1 Sam 2:3, in the Hebrew text.23 The God of Israel knows what is hidden, he knows what is in the hearts and minds of human beings, and he knows what will happen in the future – every one of these doctrines is explicitly stated in a variety of places.24 Divine omniscience is not a new idea born from Hellenistic reflexion on Israel’s theological heritage. From Was There a “Fall” or Did Augustine Really Screw Everything Up? This bad reading of Romans 5:12, rooted in a bad Latin translation of the Greek, has led to the notion that all humans are culpable (guilty) with Adam for what Adam did—all humanity sinned in him. Augustine’s reading is what many Christians believe Paul actually said, and which is why Augustine’s notion of “original sin” is defended with such uncompromising vehemence as the “biblical” teaching. But neither Romans nor Genesis or the Old Testament supports the idea. The scholarly neglect of the protest material in the rabbinic period is due in part to the unsystematic and fragmentary nature of its earliest expressions in the foundational texts of Judaism—the works of Midrash and Talmud—which were produced by rabbis in Hebrew and Aramaic more than fifteen hundred years ago. More importantly, this lacuna should also be attributed to the field’s biases. While there are an abundance of scholarly works treating non-theological rabbinic sub-fields– such as history, law, literature and biblical interpretation — rabbinic theology has been a neglected area. In fact, the last scholarly original English book on the rabbinic conception of God appeared in 1988 (Jacob Neusner’s Incarnation of God). This reality, of course, begs the question: why have scholars of the Talmud and Midrash shied away from investigating theological matters? Part of the answer relates to an old problem – the “embarrassing” depictions of God found in these sacred texts. The divine in the rabbinic documents is not presented as a transcendent, omnipotent or omniscient being, but a complicated, embodied, and fallible deity who evinces greater continuities with the capricious gods of Greco-Roman mythology than the incorporeal, unchanging Christian God of Augustine, Maimonides or Aquinas. Rather than defend these odd and “embarrassing” anthropomorphic depictions of God as genuine expressions of the rabbinic imagination, the standard traditional Jewish response — from Moses Maimonides and on — was to neutralize the problem by adopting various strategies of containment. These apologetic maneuvers included de-canonizing or devaluing the non-legal sections of the Talmud and Midrash; seeing these strange divine images as mere “poetic conceits” for the uneducated masses; or embarking on various forms of allegorical reinterpretation that expose the deeper “spiritual kernel” of the rabbinic depiction. 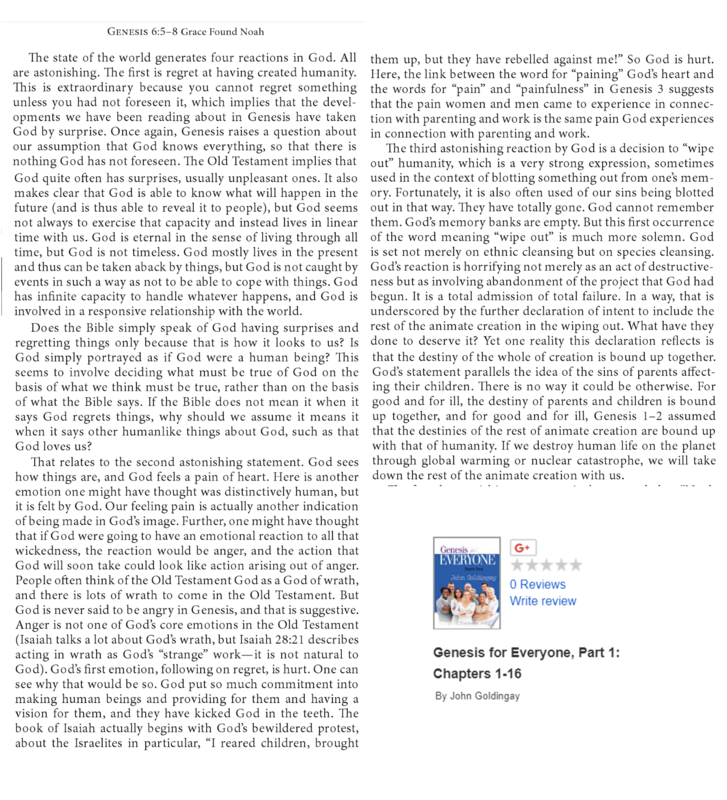 Equally tendentious is the presumptive dismissal of certain apparently mythic features of biblical language (its unabashed and pervasive depictions of God in anthropomorphic and anthropopathic terms) that blatantly occur in the monotheistic canon of Scripture—as if these were merely due to ‘the inadequacy of human language’ and ‘limitation of human thought’, or to some sort of necessarily ‘indirect grasp’ of ‘spiritual concepts’ by ‘images … that emphasize the sensual’.25 But on what grounds are such assertions made? Surely there is nothing in Scripture itself that would point in this direction, or suggest that the representations of divine form and feeling in human terms are anything other than the preferred and characteristic mode of depiction.26 Moreover, on what basis should one assume that the plain sense of Scripture is some (quasi-allegorical) approximation of a more spiritual or purely metaphorical content? And what would that content be, we may well ask, and is it even possible to get past the thick immediacy of biblical language and its concrete and sensible accounts of God?27 One can only conclude that the evasions of the direct sense of Scripture that such attitudes represent are attempts to save Scripture from itself—for oneself, and must thus be considered a species of modern apologetics. Psa 51:5 Behold, I was brought forth in iniquity, and in sin did my mother conceive me. Most scholars would concur that many of these books contain older material, but that the books reached their final form, their final written form, only later, in the post-exilic period. Now, if these books contain material that predates the exile, is it legitimate for us to speak of them and study them as a response to the national calamities, particularly the destruction and defeat and exile, 587/586. 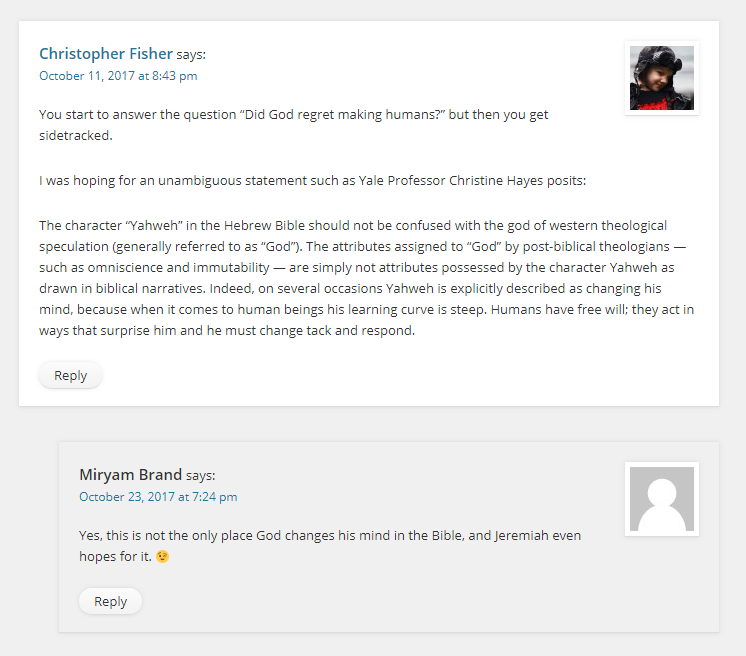 In answer to this question, we’ll consider a relatively recent approach to the study of the Bible. It’s an approach known as canonical criticism. Canonical criticism grew out of a dissatisfaction with the scholarly focus on original historical meanings to the exclusion of a consideration of the function or meaning of biblical texts for believing communities in various times and places — a dissatisfaction with the focus on original context and original meaning to the exclusion of any interest in how the text would have served a given community at a later time, a community for which it was canonical. At what point did these stories and sources suddenly become canonical and have authority for communities? And when they did, how were they read and understood and interpreted? So the historical, critical method was always primarily interested in what was really said and done by the original, biblical contributors. Canonical criticism assumes that biblical texts were generated, transmitted, reworked, and preserved in communities for whom they were authoritative, and that biblical criticism should include study of how these texts functioned in the believing communities that received and cherished them. So emphasis is on the final received form of the text. [There’s] much less interest in how it got to be what it is; more interest in what it is now rather than the stages in its development. There’s a greater interest and emphasis in canonical criticism on the function of that final form of the text in the first communities to receive it and on the processes of adaptation by which that community and later communities would re-signify earlier tradition to function authoritatively in a new situation. So a canonical critic might ask, for example: what meaning, authority, or value did a biblical writer seek in a tradition or story when he employed it in the final form of his text? What meaning, authority, or value would a community, would his community have found in it, and what meanings and values would later communities find in it when that text became canonical for them? How did they re-signify it to be meaningful for them? Why did religious communities accept what they did as canonical rather than setting certain things aside? Why was something chosen as canonical and meaningful for them when it came from an earlier time?